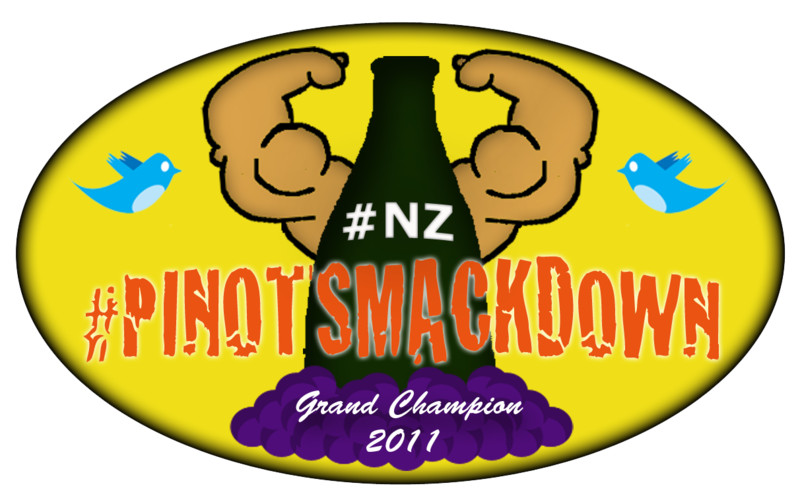 For the second rendition of Pinot Smackdown, the gauntlet was thrown by fellow wine twitterers. Oregon was the champion last year and was out to duplicate that victory. We did our darnedest, but #OR (Oregon) Pinot Noir did not come out on top this year. 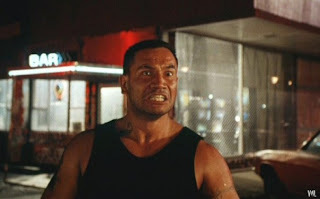 The newly crowned champion New Zealand finally has a feather to add to their cap besides the cult-like following of their rugby team the All Blacks, the movie Once Were Warriors and the on-site filming location of all of those fantasy films. 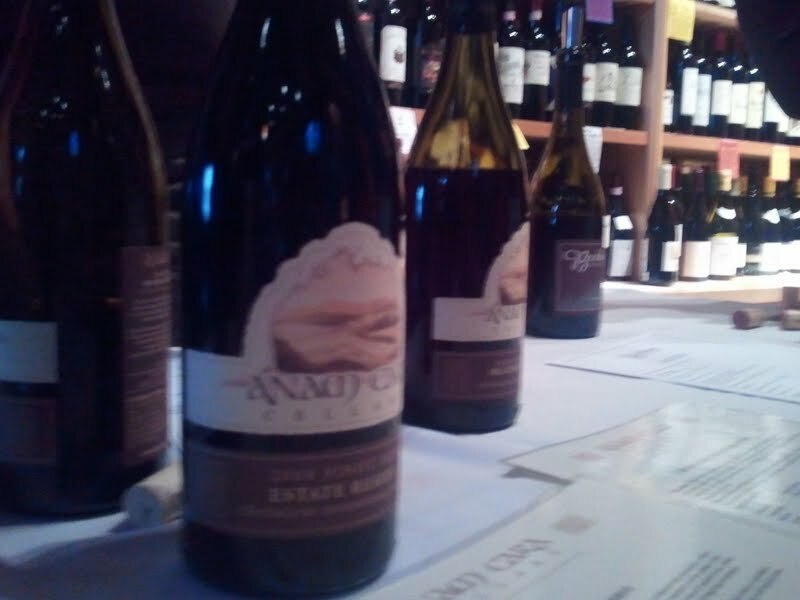 Nonetheless, a good fight was put up by Oregon Pinot, the most terroir-driven Pinot on the planet. At least two locations offered young wine drinkers (many more savvy with social media than deep, rich terroir) the opportunity to learn about this grandest of wines. 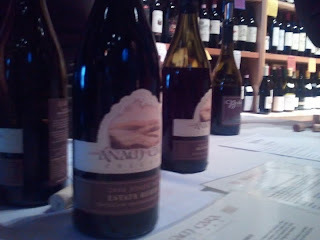 And really that was the point, besides winning of course, to show folks what Oregon Pinot Noir can be. At the event I hosted in Seattle at 6th Ave Wine Sellers, we saw somewhere in the neighborhood of 150 to 200 people throughout the course of three hours. Many of these people were there because of the event invites on Facebook and Twitter. Some of them were very wine savvy and saw it as an opportunity to taste newly released 2009 wines and some were there because they just saw the crowds. I think it's perfectly fair to ask whether or not this kind of twitter event is a sales driving mechanism. My answer would be that with proper marketing it can be a sales opportunity for host sites. The proper use of social media is not hand over fist sales but rather the ability to build broader relationships than you could in person and to potentially cultivate those relationships to a place where they do sell wine for you. Wine sales aside, Pinot Smackdown was a complete success in that it was a fun event, bringing together a host of wine lovers and offering them a superb sampling of Pinot. I'd like to extend a huge thank you to everyone who participated and for those who make Pinot Noir; Oregon or otherwise. Additional thanks go to the two southern boys, Ed Thralls aka @winetonite and Joe Herrig aka @suburbanwino. 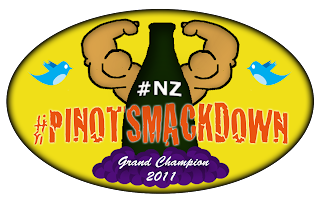 Pinot Smackdown was their idea and in two years has grown to be something that social media wine folk are marking on their calendars. And, of course, my begrudging congratulations to the Kiwis on this years' victory. 19 tweets! It was 19 tweets that separated Oregon from New Zealand. What that means for those Down Under is that you better not relax. You hear that sound, NZ Pinot fans? That's me breathing down your neck, and I got a whole truck load of #OR Pinot with me. There will be no hobbits, and no wizards to help you next time. The next WBC is in the Willamette Valley and that means the writing is on the wall, folks. Like Jake the Muss, you'll get yours. Hey, at least we didn't lose to California. Well done... thanks for carrying the glad further up NW. Once again, Oregon came to battle and we heard loud and clear. I agree with your thoughts on ability to marketing and sell wine in this format... there is still a lot to learn from as we move forward. Good luck next year, my friend! Ha! A very magnanimous summary. And thank you very much for the nod. Ed and I- despite our geographic rift-have had fun with it. I think New Zealand realizes that they have a bullseye on their chest. The sleeping giant that is the Beaver State has awoken. Question: Was the 6th avenue event free? Were the wines supplied by the local distributors, or by the retailer? Just want to get some feedback I can supply to local places here for future Twitter events.